Super Sportmatchen Is a Sports Party Game That Doesn’t Take Itself Too Seriously, but Is It Worth the Price of Admission? 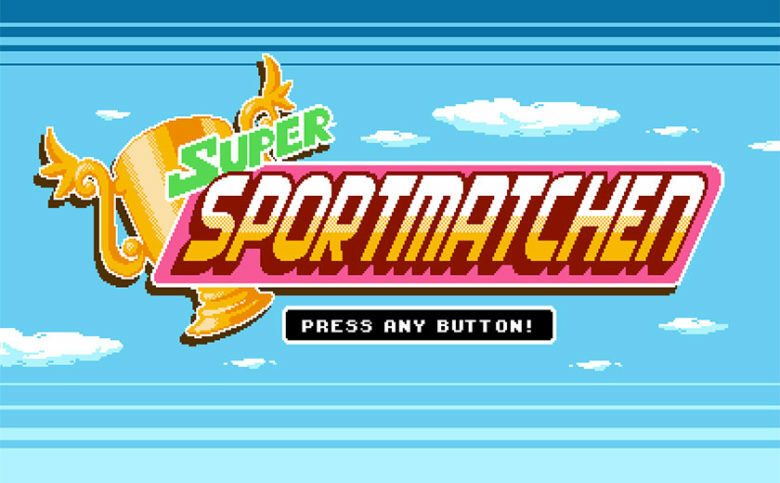 From developer Kaj Forell Video Game Brand and publisher DANGEN Entertainment comes Super Sportmatchen, the highly competitive retro styled sport themed party game that sees you and up to four players compete in a variety of sport mini games in a challenge to see who is the winner of them all! Remember, in this party game, winners have more fun together! 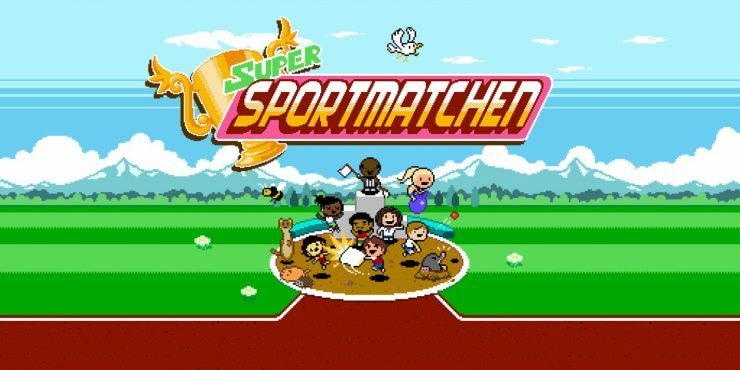 Pitting together athletes from Sweden, Bolivia, Vietnam, Esotnia, Sierra Leone, and even Canada, Super Sportmatchen is a game focused on one thing: Winning. 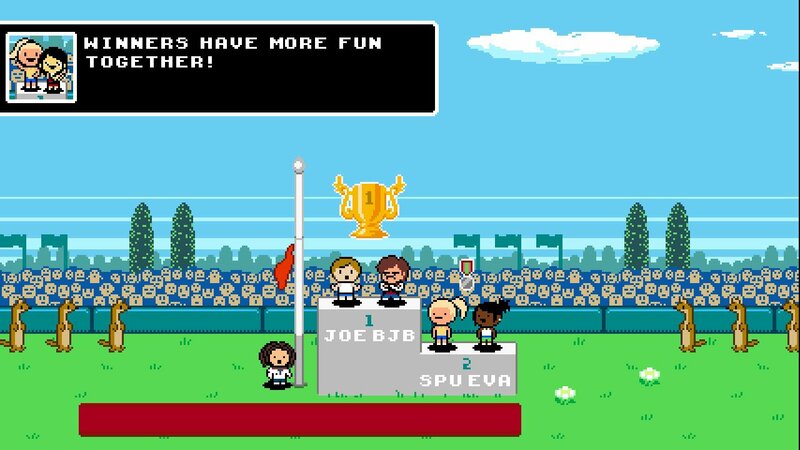 This game, very reminiscent of the arcade classic Track and Field series, focuses more on gameplay than story, which given the party game status is fine on all accounts as long as the gameplay they’ve decided to focus on is worth it. 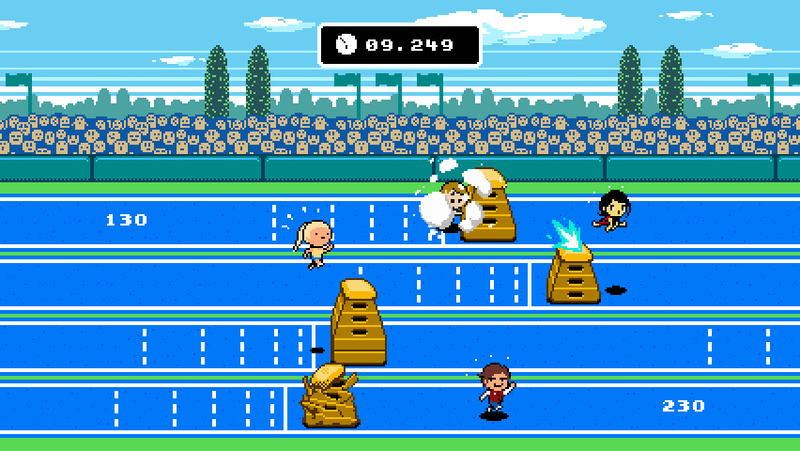 Run and jump your way over hurdles! You can play any one of ten different sporting events in Super Sportmatchen. Each of them is very easy to learn, but incredibly difficult to master, especially when playing against the often brutally good A.I. 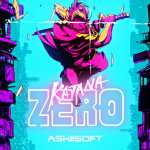 These events range from your generic 100-meter dash to more exotic events like capybara throwing to replace the tradition hammer throw and pillow fighting to replace gladiator jousting and with each different event comes a slightly different control scheme essential to pulling off a winning run. Most of the ten events require some type of timed button press. 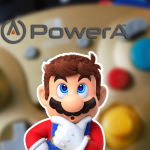 River Dodge is an event that sees you moving either left or right to dodge obstacles in your way; Wall Climb has you input a different set of buttons on the face button pad while timing jumps up to different platforms; and Boll Toss has you only use one button to set the aim and power of your throw. 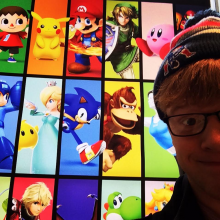 Each of these control schemes is outlined before the start of each event (think like how Mario Party does this…) while the event is being explained. This design creates an increased accessibility to the gameplay that puts each player at the same spot before the game can even begin. This also provides no excuses for your lack of ability to correctly execute the given controls, which will ultimately cost you the event. Some games only require one button, like Boll Toss! Be sure to mind the wind! The game also shakes up some conventions by changing what we think the layout of some of the events should be. In the Hoops mini-game, you’re playing basketball. This sounds simple enough, but they use a power meter for your shot and a small court with the basket in the center. This definitely takes some getting used too if you’re used to traditional basketball controls and layout. There are environmental hazards present throughout the events as well that you need to take into consideration. These include wind, surprise targets, and even a feisty vulture. 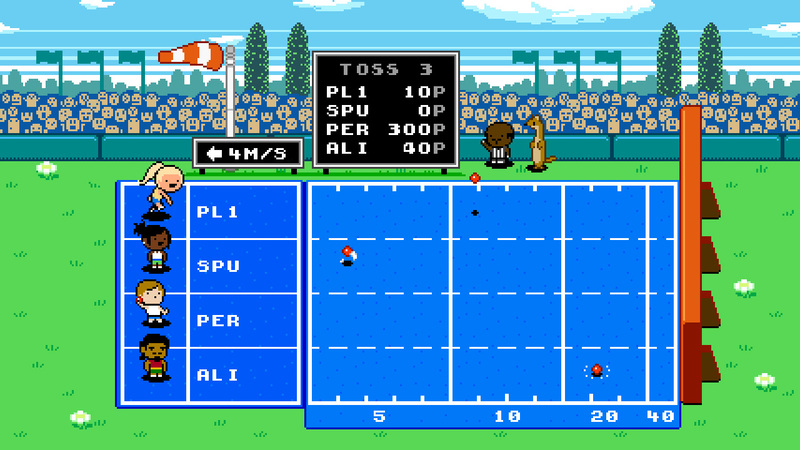 Like most of the newer games that are designed in the retro style, Super Sportmatchen is a great throwback to the NES era of games. 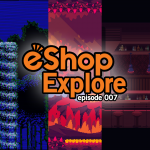 It adds a fresh coat of paint on the graphics by making them even more bright and colorful while still maintaining great definition of sprites and backgrounds even though it’s designed to be pixelated and retro. 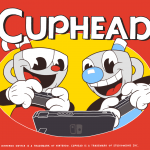 The music for the game helps to add to the sense of competition and retains that very retro styling that is present throughout the entirety of the game by using chip tunes and themes that are a true throwback. Compete with your friends to see who will take home the gold! Super Sportmatchen works because it doesn’t take itself so seriously. 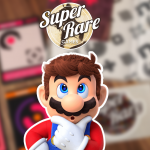 It acknowledges that it’s a couch party game made up of both traditional and weird sporting events, designed to get a group of buddies together to compete for the gold. I certainly had some fun (and plenty of frustrations against the A.I.) playing this game. That being said, the nearly $15 price tag doesn’t seem to justify the lack of overall content present with this game, so even though I think it’s a decent game, for me it’s ultimatey a NintenDon’t. Keep on the lookout for when this game goes on sale if you’re hoping to expand your party game offerings.